Happy first weekend of 2014 everyone! Are you spending it doing something fabulous?! I’m curling up and taking some time to myself with finishing up my goals/dreams writing so I can step into the first full week of 2014 with my arms wide open and my mind completely fresh and ready to take on the new year! Hope you have the best first weekend of a new year ever and here are a few links from around the web this week! This woman only ate Starbucks for an entire year. 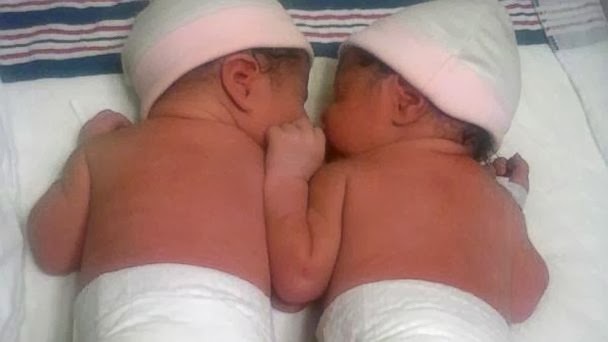 New Year’s twin babies were born in separate years. New Year’s resolution printables for 2014! A blogging calendar to keep you organized month by month. The difference between empathy and sympathy. Powerful, beautiful, and definitely worth watching. 22 best books of 203 for women, by women. Just eat the Christmas cookie like a normal person, please. If you want to be successful, don’t confuse being busy with getting the right things done. Another favorite blogger just announced they are starting a book club this year. I may have to join. Which means one more book to read every month…eeks! I’m not sure I can do it. Happy New Year, lady! Hope it was amazing 🙂 Also, I'm stealing this blog organization calendar idea. I need to jump on board with that…like now! Sorry I'm late on replying Stephanie! I'm glad you are going to steal that organization calendar idea. I just need a little more wall space otherwise I would totally be doing it too!